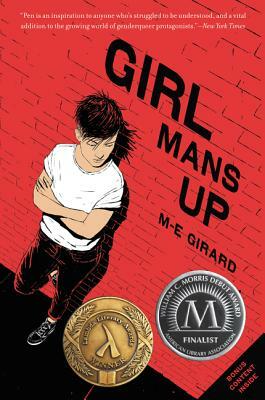 Now available in paperback, M. E. Girard’s Girl Mans Up is perfect for fans of Meredith Russo, Becky Albertalli, Alex Sanchez, and Jaye Robin Brown! M-E Girard lives just outside Toronto, Canada, where she splits her time between writing YA fiction about badass teen girls and working nights as a pediatric nurse. A 2013 and 2015 Lambda Literary Fellow, M-E is a proud feminist who is endlessly fascinated by the good, the bad, and the ugly regarding the concept of gender. You can find her online at www.megirard.com and all over social media.